Vascular dementia is caused by reduced blood supply to the brain due to diseased blood vessels. This death of brain cells can cause problems with memory, thinking or reasoning. Together these three elements are known as cognition. When these cognitive problems are bad enough to have a significant impact on daily life, this is known as vascular dementia. Frontotemporal dementia is an uncommon type of dementia that mainly affects the front and sides of the brain (frontal and temporal lobes) and causes problems with behaviour and language. Dementia mostly affects people over 65, but front temporal dementia tends to start at a younger age. Most cases are diagnosed in people aged 45-65, although it can also affect younger or older people. Like other types of dementia, Frontotemporal dementia tends to develop slowly and get gradually worse over several years. Frontotemporal dementia is misdiagnosed as a psychiatric problem or as Alzheimer's disease. After the successful completion of 12th World Congress on Advances and Innovations in Dementia we take the opportunity to announce. 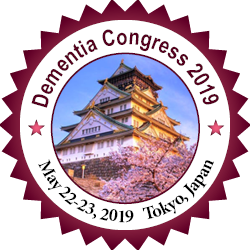 Dementia congress 2019, 13th World Congress on Advances and Innovations in Dementia, which is held during May 22-23, 2019 at Tokyo Japan. The main theme of our conference is "Exploring the Challenges and Excellence in Dementia Research" which covers wide range of critically important sessions. It’s a platform to bring all the neuroscientists together to share their experiences it’s the amalgam of scientific research as well as innovative ideas. Neurological disorders are diseases of the brain, spine and the nerves that connect them. There is ample evidence that pinpoints neurological disorders as one of the greatest threats to public health. There are more than 600 diseases of the nervous system, such as Alzheimer's disease, brain tumours, epilepsy, Parkinson's disease, and stroke, dementia as well as less familiar ones such as front temporal dementia. 12th World Congress on Advances and Innovations in Dementia was organized during September 17-18, 2018 at Mercure Singapore on Stevens Singapore with the support and contribution of the Organizing Committee Members. Firstly we must thank you for trusting us and participating at Dementia Congress 2018, a global platform to discuss various important aspects of Dementia. There are infinite reasons to extend our gratitude to you for making the Dementia Congress 2018 outstanding conference. We couldn't have done it without your continuous support and believe towards our organization, which mutually made to achieve Dementia Congress 2018 a new heights in the field of Neuroscience. The conference was organized around the theme “Exploring the Challenges and Excellence in Dementia Research”. The event implanted a firm relation of upcoming strategies in the field of Novel approaches and Developments in Dementia and Neurological disorders with the scientific community. The conceptual and applicable knowledge shared, will also foster organizational collaborations to nurture scientific accelerations. 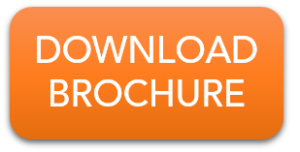 The conference witnessed an amalgamation of peerless speakers, Keynote speakers, well-known researchers and delegates who enlightened the crowd with their enviable research knowledge and on various alluring topics related to the field of Neuroscience through their fabulous presentations at the podium of Dementia Congress 2018. Conference series LLC offers its heartfelt appreciation to all the Organizing Committee Members, Chairs and Co-chairs, Speakers, Students, Media Partners, sponsors and Editorial Board Members of Journal of Alzheimers Disease & Parkinsonism, Journal of Dementia, Journal of Neurological Disorders, who supported the conference in every aspect for the awe-inspiring exhibition at the venue. 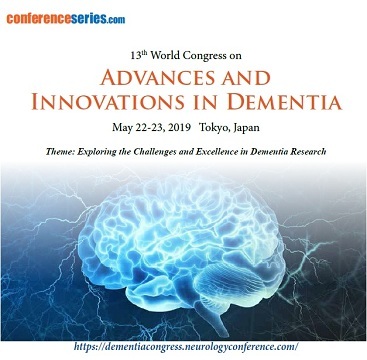 So as a continuation of Dementia Congress 2018, we would like to heartily invite you to our upcoming 13th World Congress on Advances and Innovations in Dementia scheduled during May 22-23, 2019 at Tokyo, Japan. For 2019 we are expanding our focus towards all aspects of Dementia and Alzheimer’s Re­search findings. Our organizing committee is gearing up with more innovative and explorative sessions to unleash the boundaries of the Neuroscience. Your expertise and knowledge in the area of Dementia and Alzheimer’s Will provide an oppor­tunity to discuss and respond to a series of questions about the status of Dementia AND Neurological Disorders and therapeutics. There were an expected 46.8 million individuals overall living with dementia in 2015 and this number is accepted to be near 50 million individuals in 2017. This number will twofold at regular intervals, achieving 75 million out of 2030 and 131.5 million out of 2050. A great part of the expansion will be in creating nations. Officially 58% of individuals with dementia live in low and center pay nations, yet by 2050 this will ascend to 68%. The quickest development in the elderly populace is occurring in China, India, japan and their south Asian and western Pacific neighbours. We would like to organize this conference with your support to gather all the Neuroscience researchers in an single platform, hope we will be honoured with your support to organize Neuroscience 2018 in a grand level, your support will be the key of success for our next year conference.